A pack of 12 paper cupcake wrappers with a bunny pattern on a subtle pink background. 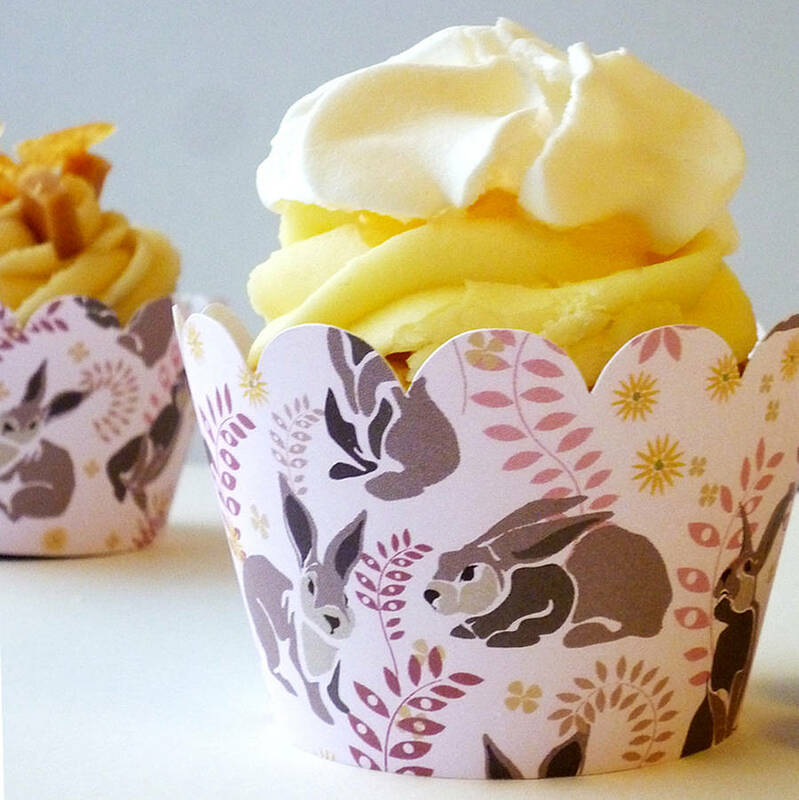 These cupcake wrappers are printed with an original pattern by Ink Pudding of bunnies and in shades of brown and pink. 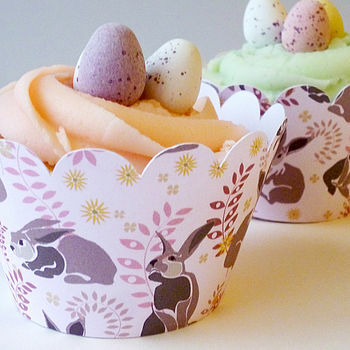 Perfect for Easter, but can be used for any occasion - a spring or summer tea party, birthday, christening or baby shower. 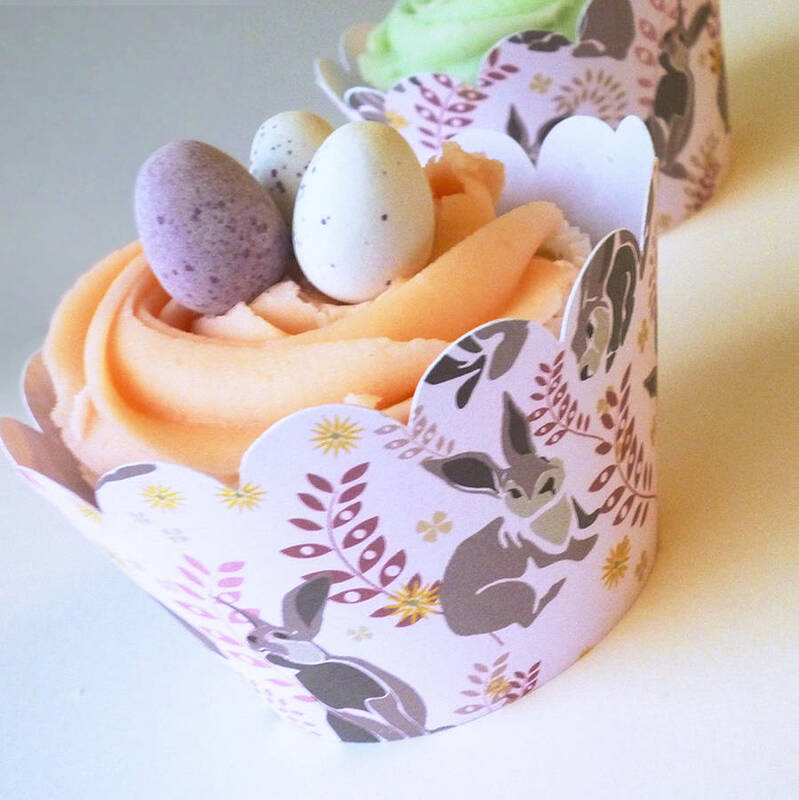 Intended to used by wrapping a standard size cupcake which has been baked in a paper case. The wrappers have a tab on one side and 3 slots on the other, to allow for slight size variations. Also available with puppy pattern, toadstools and strawberries & donkeys patterns. Printed on white card. White on reverse.